Sarah Moore was kicked out of The Family, Australia's biggest cult. At 17, Sarah Moore was kicked out of The Family cult. She would never lead a normal life. In 1987, Sarah Hamilton-Byrne was kicked out of the only family she’d ever known. The teenager was a member of Australia’s most notorious and dangerous cult, The Family. Sarah Moore, as she was later known, had grown up on a remote Lake Eildon property, outside of Melbourne. She’d never seen the outside world. 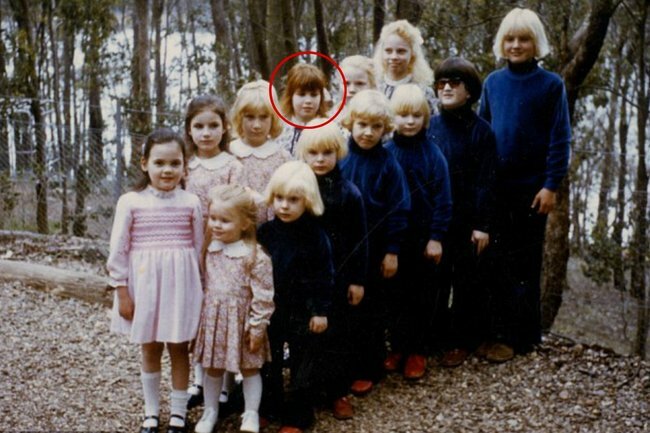 Sarah grew up believing she was the biological daughter of the cult’s charismatic and controlling leader, Anne Hamilton-Byrne, who had adopted at least 14 babies and young children through illegal means. Hamilton-Byrne and the other adults in the cult, who the children referred to as “Aunties” and “Uncles”, dressed the kids in identical outfits and gave them the same blunt, blonde haircut to make them look like siblings. The children were beaten and drugged. As they got older they were forced to take LSD as part of a religious ritual. 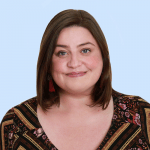 When Sarah began acting out in her late teens, Hamilton-Byrne kicked her out of the cult. The then 17-year-old met with a private investigator, known only as Helen D, who had been looking into The Family’s operations. Helen D then introduced the teenager to two female police detectives who were able to win her trust and who encouraged her to open up about her experience in the cult. On August 14, 1987, law enforcement raided the Lake Eildon property and removed the remaining children. It was only then that the children realised their upbringing wasn’t normal. Ben Shenton was only 15 when the police arrived at the compound. He told the ABC’s You Can’t Ask That, he was initially confused and panicked. “We hear this running up the steps. Suddenly these police turn up. ‘It’s OK, it’s all right, we’re here to rescue you’,” he said. As he was being driven away, Shenton realised he had finally escaped captivity. Although Sarah managed to escape the cult before the raid, she struggled to adapt to her new life in the outside world. She went on to study medicine and would later become a qualified doctor. She worked in a number of Melbourne hospitals and did extensive volunteer work throughout India and Thailand, before starting up a medical practice in the Dandegong ranges. In 1995, Sarah’s book about her experience in the cult – Unseen Unheard Unknown – was published by Penguin. Anne Hamilton-Byrne and one of the kids from the cult. Image: ABC. "Every morning I awoke to the sounds of children howling as they got their first belting for the day. Rare was the day that no-one wet the bed, at least until 1986, and even then the younger boys continued to do so on occasions," Sarah wrote in her book. "Also, once a week, or more if it was considered that an individual had a weight problem, we were weighed and the results entered in a book to be communicated to Anne. She had a horror of fatness and was obsessed with body shape and weight. She always insisted that we girls were getting too fat, even though in some cases it was malnutrition rather than extra kilos that caused our bellies to stick out." Despite her successful career, Sarah struggled with the demons from her past. She suffered from post traumatic stress disorder and battled a drug addiction for years. In July 2005, she was charged with forging prescriptions for pethidine, a strong pain killer usually prescribed to women in labour. She avoided a jail term and instead was given community service. Sadly, in December 2008, Sarah lost her left leg after a suicide attempt. She used a wheelchair for the rest of her life. In August 2009, Sarah participated in a televised reunion with Hamilton-Byrne on 60 Minutes. During the reunion, Hamilton-Byrne said the people who accused her of mistreating children were "lying b*stards". Sarah told reporter Karl Stefanovic she still loved Hamilton-Byrne but had mixed feelings about her. In May 2016, Sarah died of heart failure. She was just 46 years old. 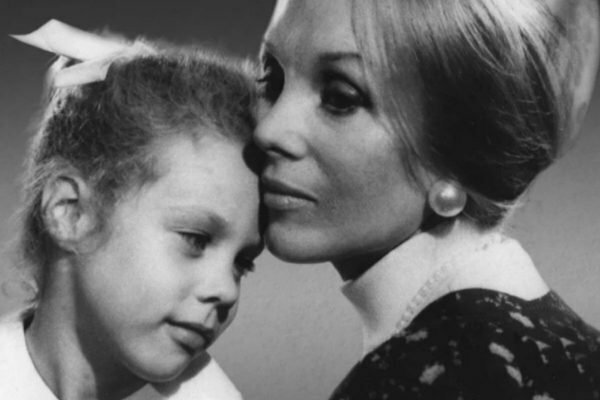 The Cult of the Family, a three-part documentary series is currently streaming on ABC iView.